Ashley’s extensive experience is Australia wide and covers mining, oil and gas, extractive industry, electricity, waste management, wine making, brewing, the automotive industry, telecommunications, tyre making, petroleum refining, steel making and many other industries, businesses, government and local government bodies. Ashley advises resources and energy companies across Australia on all aspects of project development including regulatory approvals, tenements, environmental matters, Aboriginal and other land access, Native Title and Aboriginal heritage. He advises on all aspects of environmental law compliance and breach including prosecutions and civil action. Ashley conducts environmental, Native Title and regulatory due diligence for all types of corporate, property and business transactions. He acts as an advisor to corporate, government and local government bodies and actively participates in policy advice and government lobbying processes. He also advises on agribusiness and related activities primarily for the pastoral industry across Australia. Ashley has extensive experience in advising local government authorities, particularly on project development, planning, regulatory and environmental issues. 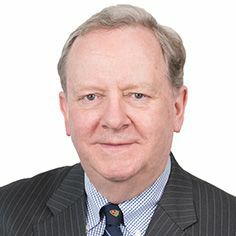 He has established the Piper Alderman “LawLinx” computerised database for clients of the firm giving immediate access to the laws and documentation which govern their business activities. Ashley is recommended in the Asia Pacific Legal 500, described as having a “great deal of experience”. He has been listed in Best Lawyers ® from 2013 to 2017 for Planning and Environmental Law, in 2015, 2016 and 2017 for Mining Law and in 2016 and 2017 for Native Title. In 2017 Ashley was listed as ‘Lawyer of the Year’ in Planning and Environmental Law.